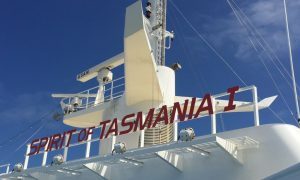 So often visitors to Australia fail to understand how large the country is and try to cover too much on their travels. Most visitors concentrate their trip on the populated coastal areas with its beaches, cosmopolitan cities and lush wilderness. However, a visit to the Red Centre of Australia presents a completely different experience with its iconic sites, rich cultural heritage and Outback terrain. Many visitors have Uluru on their itinerary and fly in to see Australia’s most recognizable landmark. But there is so much more to the Red Centre of Australia than just Uluru, formerly called Ayers Rock. Spending a week on a road trip through the Red Centre Way will allow you to see more of the Outback landscapes, gorges and swimming holes and learn more about Aboriginal culture and life in this remote part of the country. In this post we’ve outlined what to do in the Red Centre in a day-by-day guide. 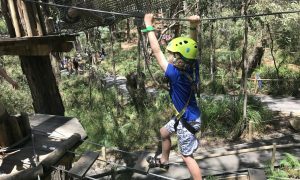 We took this trip with our kids and offer lots of tips and advice for those planning a similar trip. We recommend self-driving, but there are a number of budget tours if you prefer. 7 Is this a Kid-Friendly Trip? This itinerary is based on renting a 4WD vehicle. While you do not need a 4WD to visit most of the main sights in Central Australia, we think it a really fun way to explore the Outback. You can drive on some cool red dirt roads fulfilling your Outback fantasies and take short-cuts that cut down on your driving times. We rented our 4WD Landcruiser with roof top tents from Britz, which was the perfect vehicle to explore the Outback. This allowed us to camp and explore lesser-visited locations. You can also rent a 2WD or 4WD vehicle and stay in hotels or cabins. 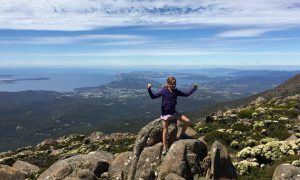 Read this post for tips and advice on taking a campervan holiday in Australia and don’t forget these road trip essentials. We drove from Melbourne to Uluru and then looped around and finished in Alice Springs. However, a one-week Central Australia road trip circuit from Alice Springs is the most traditional Red Center itinerary. We recommend 9 days so that you have two full days to enjoy Uluru-Kata Tjuta and you have some time to discover Alice Springs. If you have lots of time on your hands, you can definitely spend even longer enjoying the National Parks in the southern part of the Northern Territory. You can also do this itinerary in reverse, but we are assuming most people want to see Uluru first. Remember, this itinerary requires a 4WD vehicle. If you don’t have a 4WD vehicle, you can follow the same itinerary until day 6 when you will go from Kings Canyon back to Alice Springs via the Luritja, Lasseter and Stuart highways (475 km). 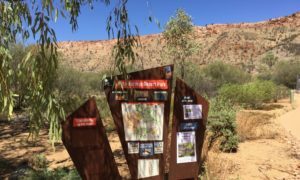 On day 7 you can do a day-trip or over-night trip into the West MacDonnell Ranges (130 km each way to Glen Helen Gorge), before returning to Alice Springs for a couple of days. If you are looking for a shorter Red Centre experience, check out this post. Arrive into the Northern Territory’s second largest city and you will have your first glimpse of the colours of the Outback. The yellow and green grasses and trees contrast magnificently with the red earth. Alice Springs is a bit of a Wild-west town with lots of character and many great things to do. You can read our complete guide to Alice Springs here. Depending on what time you arrive, pick up your vehicle and see a little of Alice. The shops at Todd Mall are a great introduction, as is Anzac hill or a visit to the Alice Springs Telegraph Station. This is the longest drive day of the entire trip as you first head south on the Stuart Highway before heading west on the Lasseter highway to Uluru-Kata Tjuta National Park along quiet sealed roads. After leaving town, you will get a better chance to appreciate the colours of the Outback with the spinifex grasses and mulga trees rising out of the red earth. It is quite common to spot wildlife as you are driving so have a look out for camels, kangaroos and dingoes. Stop at one of the Outback’s famous road houses for lunch, which is a cultural experience in itself. At Stuarts Well Roadhouse or Erldunda Roadhouse order up a “burger with the lot” and see if you can finish it. 125 km away from Uluru-Kata Tjuta National Park you will spot Mt Connor, which bears an uncanny resemblance to Uluru. There is a nice rest stop here with a view of Mt Connor to pull over and take a break. All accommodation at Uluru are run by the Ayers Rock Resort in the purpose-built town of Yulara, 20 minutes from Uluru. Check in to your hotel and head to the Uluru Sunset viewing area for that iconic shot of the rock as the sun sets. Remember that it takes 20-minutes to drive from Yulara to Uluru and you want to arrive early to get a good spot. Even though we had seen so many photos of Uluru, it still took our breath away when we saw it for the first time. It truly is an incredible sight. When you enter the National Park, you will need to purchase a 3-day pass ($25/adult, $12.50/child 5-15, $65/family (2+2). Read our full guide to visiting Uluru for more information. Uluru is what draws most visitors to the Red Centre, but Kata Tjuta (also called “the Olgas”) is equally as spectacular. While you can visit both in one-day, allowing two-days in the National Park allows you more time to explore and learn about this sacred area. You can refer to our list of the best things to do in Uluru for detailed information on how to get the most out of your visit. Note that while many people come to climb Uluru, the traditional owners of the land request that you don’t. The climb will close for good in October 2019. Mala Walk at Uluru – at 8 or 10 am each day, this guided ranger walk is free and a great introduction to Uluru. Walk or Cycle Around the 10.6 km base of Uluru – rent bikes from Outback Cycling and see the different features of the rock or walk the 10.6 km around. Maruku Dot Painting Workshop – learn about Aboriginal art as you watch an artist work and learn more about Anangu culture. You then get to create your own painting in this lovely cultural experience. Our complete guide to Uluru contains lots more information – where to stay, tips for visiting, when to go, etc. We lost some time in Uluru on our first day when my son cut his leg really badly, requiring stitches. Luckily, there is a clinic in Yulara and they were able to get him fixed up. However, it meant that we hadn’t been able to do everything we had wanted in our two days at Uluru-Kata Tjuta. We spent the morning of day 4 doing the Mala ranger walk and visiting the Cultural Centre and departed just before lunch. If you want more time at Kings Canyon, you can head out first thing in the morning. Otherwise you can enjoy a leisurely morning at your hotel before starting the drive to Kings Canyon. Kings Canyon or Watarrka National Park has one of the best walks in the Red Centre, the Kings Canyon Rim Walk. When we were planning our trip, it was the activity that most people recommended to us and it was definitely one of our favourite things to do in the Red Centre. By this time in our trip, gastro was working its way through our car, but I still managed to do the 6 km walk feeling less than great. You want to start this walk first thing in the morning so we have scheduled it for day 5. Keep an eye out on the road for wildlife as you may spot some camels, kangaroos or dingoes. You can choose to stay at the Kings Canyon Resort or Kings Creek Station. Kings Creek Station, a working cattle/camel farm comes first and is the best choice if you are camping, glamping or okay with roughing it. We liked staying as this unique place and best of all, it is right across the road from the best Aboriginal cultural experience we did in the Red Centre. Peter and Christine run the Karrke Aboriginal Cultural Experience at Kings Creek and the hour we spent with them was one of the most impactful of our whole trip. The kids got to try their hand at grinding seeds and were really impressed when Peter pulled live witchetty grubs out of a tree root. We learned and got to examine the different types of bush fruits and watched as the witchetty grubs were prepared. They patiently answered the kids’ many questions and we felt so fortunate to participate and support this authentic and informative tour. Tours run Wednesday-Sunday, four time a day, bookings essential. $65/adult, $45/child 12+, $10/child 6-11, $45/pensioner. Kings Canyon Resort is a further 40 km up the road. It receives mixed reviews, but is the only hotel for hundreds of miles. It is completely fine for one night. If you are camping or want more rustic accommodation, choose Kings Creek Station. Get up early because you want to start the Kings Canyon Rim Walk early. On the day we were there in April, the ranger closed the walk at 9 am because the temperature was going to reach the mid-30s that day. Come prepared with sun protection and lots of water for the 6 km hike, which should take 3-4 hours. The beginning of the hike is steep for about 15 minutes, but the rest of the walk along the canyon is flat and suitable for almost anyone. If you can’t do the walk, you can take a helicopter flight over the canyon. The red rocks of the canyon’s rim are nature at its best and the surprising lushness of the Garden of Eden is a magnificent contrast. While it is certainly not off the beaten path, Kings Canyon is much quieter than Uluru-Kata Tjuta. There is water at the base of the hike and even free WIFI. You can enjoy a picnic lunch at the base or lunch at Kings Canyon Resort down the road before continuing on to the West MacDonnell Ranges. To continue directly to the Western Macs, you will need a 4WD vehicle. If you have a 2WD, take the Luritja, Lasseter and Stuart highways to Alice Springs. We had our rented Britz 4WD Landcruiser and were eager to finally test her out on the red dirt Outback roads of the Mereenie Loop. This is definitely one of those classic things to do in Central Australia and we were so glad to have the 4WD. You do need to purchase a $5 permit to drive the Mereenie Loop although when we tried to buy one at Kings Canyon Resort, they were all sold out. You should get permission from your rental car company before driving on the Mereenie loop. Paul got the hang of driving on the dirt corrugations (optimal speed 80-90 km/hr) and we stopped to play with the drone for awhile. We ascended to Tylers Pass Lookout for some beautiful views of Tnorala, a huge meteor crater, in the distance. Eventually the road became sealed again, ending our 4WD thrills. We spent the night at Glen Helen Gorge where the Glen Helen Lodge Homestead is a glimpse into the past. There are lots of camping options as well as hotel rooms. The restaurant’s beautiful location beside the Gorge is a great place to eat or enjoy a cold drink. Central Australia has the most amazing night sky so don’t forget to look up each night and enjoy the show. We took an extra day to enjoy the West Macs because we were still catching up from the gastro sickness. We spent our second night camping just down the road at Ormiston Gorge and having a really easy day 7. However, you can spend a wonderful day slowly making your way towards Alice Springs and enjoying all that the West Macs have to offer. The West Macs are renowned for their gorges and swimming holes, which is the perfect way to cool down from the desert heat. The Glen Helen Gorge was one of our favourite places to swim, although be prepared – the water is surprisingly cold! Ormiston Gorge is only 12 km down the road and another one of our favourite places in the West Macs. The white trunked ghost gums look spectacular hanging off the red rocks of the Gorge. Take the 40-minute return walk to Ghost Gum Lookout for great views over the Gorge and water hole. Tied with Glen Helen Gorge, Ormiston Gorge was our other favourite swimming hole. 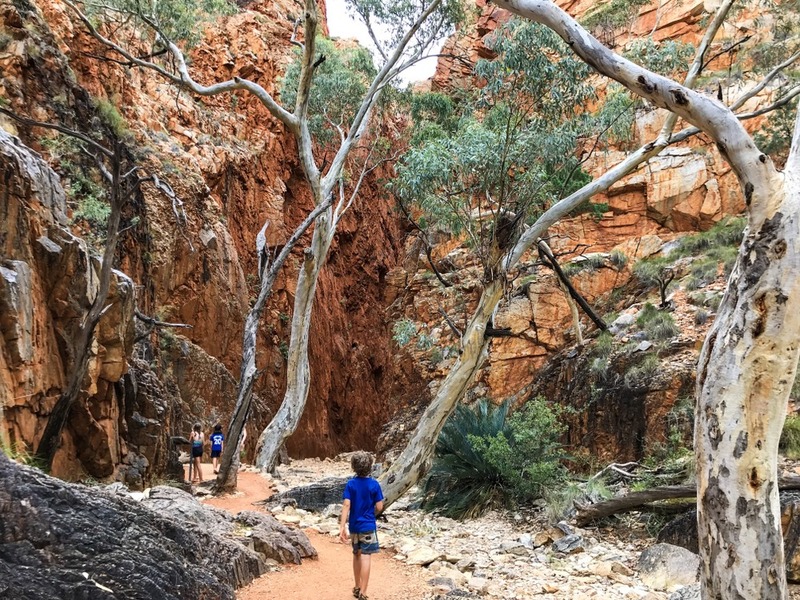 Ormiston Gorge is one of the stops on the multi-day Larapinta Trail and you will see hikers coming and going. There is a canteen here that serves up tasty snacks, lunches and popsicles. There are lots of great places to stop as you drive through the West Macs. Wild horses – keep your eyes out as they are commonly seen on this stretch. Ochre Pits – ochre has been used as a source of pigment by Aboriginal people for thousands of years. This is a sacred spot still used by Indigenous people, so look, but don’t take any ochre. Serpentine Gorge has a nice and short 30-minute walk to a lookout with fabulous views. Ellery Creek Big Hole is your next opportunity to go for a swim and a popular day trip from Alice Springs. Standley Chasm – best viewed at noon when the sun lights up the chasm, it is beautiful any time of day. It is a 30-minute return walk and you do have to pay an entrance fee to the Aboriginal community that manages it ($30/family). Simpsons Gorge – only 22 km from Alice Springs there are great short walks here. End your day in Alice Springs where you will already be missing the wide open spaces of the Outback. But thankfully there are lots of interesting things to do in Alice Springs. Alice Springs has so many fun things to do that it is definitely worth allocating a few days to explore. We have a full guide to Alice Springs with detailed information on the best things to do in Alice Springs, where to stay and tips to plan your visit. Alice Springs Desert Park – an awesome way to learn about the wildlife that survives in Central Australia. We also did the Nocturnal Tour to see these animals at night in their natural environment. Alice Springs Telegraph Station – appreciate this feat of engineering to build a communication line connecting Australia to England, but also to learn about the impact it had on Indigenous people. Earth Sanctuary Astronomy Tour – great family-run organization where you learn about the amazing Outback sky. Alice Springs School of the Air – this school has been educating students living in isolated areas since 1951. Originally over radio, they now teach through digital classrooms. While tourists visit Central Australia throughout the year, try to avoid the extremely hot weather of the summer months (December-March). Conversely, the winter months can be very chilly in the desert. The shoulder seasons are the best times to visit (March-May and October-November). You might have already heard about Central Australia’s flies. They really are a nuisance, but worse in the warmer months. You can pick up a bug net anywhere in the NT and while you might feel silly wearing it, it really does help you keep your sanity. Although the towns of Alice Springs and Yulara are well-serviced, there really isn’t much in between. There is only cell phone reception within a limited range of these two towns. Being prepared for your Northern Territory road trip is essential. Plan to be self-sufficient if you are self-driving. Carry lots of water and food and make sure your petrol is topped up. Petrol is available at limited locations and at a premium price. Unfortunately Alice Springs is an expensive place to get to. Serviced by Qantas and Virgin, as well as small regional carriers, there really aren’t a lot of options. We paid $350 AUD one-way from Alice Springs to Melbourne (a 2.5 hour flight). Check the best prices on flights here. It is often cheaper to fly directly to Uluru/Yulara with Jetstar, but you cannot rent a campervan vehicle there. All campervan companies are based in Alice Springs. You can rent a 2WD or 4WD vehicle, but need to book well in advance. You could choose to do this itinerary starting and finishing at Uluru. Click here to check the best rates for car rentals. Is this a Kid-Friendly Trip? Definitely! We did this trip with our 3 kids (ages 6-10) and it was the perfect blend of active activities, beautiful sights and culture. It is completely different than the rest of Australia and I am so glad we chose it. I meet so many Australians that have never been and I really do think it is one of the most special places in Australia. don’t underestimate the heat. Keep the kids hydrated with cold drinks and ice cream (a great reward after a long hike!). Please share your Red Centre experience below or if we can help you plan your trip in any way, just leave us a message. Save this for later. PIN it to Pinterest! Great way to lay it out Dawn. Good note too on biting off more than you can chew, traveling through Oz. Folks think they can see so much of the country in a short amount of time. Not gonna happen. It’s huge! Set aside ample time for a few trips. This way you can experience places versus blowing through in a few hours or days. I am always tempted to travel too quickly, but my best memories are slower travels. And Oz is massive! Better to see somewhere thoroughly than a lot of places quickly. I just have to keep reminding myself that! It really is a great one. Australia is so perfect for road trips. One day we want to do the full lap:) Hope you get to do the Red Centre one day. I can’t believe I haven’t made it to Australia yet! Love your tips on avoiding the heat… and I see a nice Amazon sun shade hat to continue the battle to save my skin from crisping in the sun! Hope to see Red Centre soon. It is such a long way from anywhere isn’t it! Sun is super strong though so come prepared:) So many wonderful places in Oz…you could spend years exploring, but the Red Centre is entirely different and definitely worth a visit. This is such a comprehensive post. Did you bring your own bikes, or were there kid bikes available to rent? I love the idea of cycling around the cycling around the base of Uluru. Outback Cycling rents them out at Uluru and thankfully they have kid size bikes and bikes with baby seats, so it is the perfect way to experience Uluru with kids.